Last month, whilst getting ready to go on stage at Regina, Paul McCartney was caught on camera performing an impromptu version of New. This quickly turned into an acoustic performance when Paul was joined by the rest of his band for a run-through the song. Check out the video! Paul has officially joined Instagram. 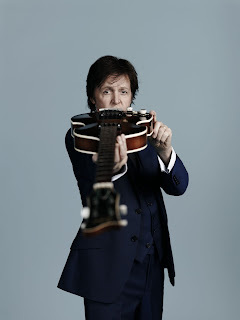 You can follow @PaulMcCartney for the latest photos and videos!